I'm the very observant type. It's a trait you would pick up if you spent more than half of your life outside the inner circle of everything -- especially at school. Socially, I had no childhood, no childhood friend and no fun childhood memories. But it wasn't very very bad, just looks terrible in retrospect. I spent more time with books than with other children, and I was constantly trying to merge the two worlds -- what I read about people in the books and what I saw people do in real life. I became very good at observing people, I would sit still at events and just watch non-stop. People became another type of book to me. Maybe I did have some fun childhood moments, seeing patterns in people. I'm now grown up and have all the fun moments I want. But I've not stopped observing people and doing stuffs solely for the joy of seeing people's reactions, and comparing them to my predictions. 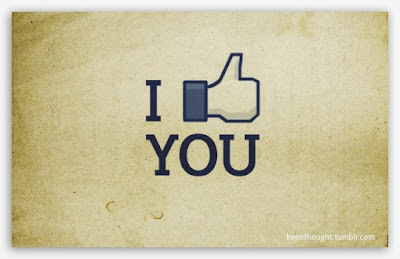 In this post I'm going to share one of my discoveries -- What people like in others. What we most like to see in people is their human side. That's why the discussions that fascinate the most are discussions about our boss's soft spot; about our school principal's weakness; about the hardened criminal's love for his mother; about Obasanjo's beloved Ota farm; and about every Samson's Delilah. Even a mad man will evoke deep emotions within us when we see him crying. Yet there are a few people who are obsessed with logic and pursing perfection that they kill their human side. They are the ones who ruin other people's joyous moments with statements like -- I didn't ask you to do it for me; I don't need your favor; don't ask me to thank you.They try hard to look faultless; they are never wrong. People avoid them. If you are happy, they'll give you reasons to be sad. If you are sad and need encouragement, they'll only preach to you and try to link your misfortune to something you've done in the past. And that's why we all love children. Though they have no achievements, no money, no striking intelligence, no obvious ambition, and are often troublesome, we still love them and even more than the people that have all those qualities in abundance. Why? Children are purely human, they don't try to look perfect. Being human is what draws us most to others, and that's why we stick more to our childhood friends. And that's why blood will always be thicker than water. We grew up with our family members, we've seen all their imperfections, their human side. And it's the imperfect moments (the crisis moments that shook you all to your core) that bind you the most. This is the one quality that money cannot make up for. You can have all the money in the world, if you don't have integrity, if people cannot hold on to any of your word, if people cannot vouch for you in even the tiniest matter; you'll forever be a rich jerk. You will miss out of all the fine things in life -- good friends, respect from foes and a cult following. Some of our heroes -- Mahatma Gandhi, Oscar Wilde, St. Francis of Assisi, Socrates -- chose to be poor. They are known and celebrated for what they stood for -- their Integrity. And we love people like that. People we can depend on, who don't change with the weather. If you are human (quality No 1), you would be humorous (at least a little). But there are a set of people who are very humorous. They make you forget yourself. They are like a refreshing cold fruit juice on a hot sunny afternoon. Though most do it by their speech, a lucky few do it by every action they make, even the way they look at you. And it is very charming. You'll helplessly like them. Ever wondered how Hon Patrick Obahiagbon got that far in politics? There is some attractive about knowledge, even one so esoteric as dinosaurian words. The one thing we like more than being intelligent, is to be seen with very intelligent people. During Albert Einstein's lifetime, more than wanting to be as intelligent as him, people wanted to be seen with him. And those are what we like in others. Surprised I didn't mention beauty? I'm yet to meet two friends whose friendship is based on beauty. Beauty can only get you people's eyes but not their hearts, and friendship comes from the heart. I'll definitely keep it up.